(Mark Lennihan | AP Photo) This Wednesday, Aug. 29, 2018, photo shows an arrangement of Oxycodone pills in New York. The following story was written by Luke Ramseth for The Utah Investigative Journalism Project in partnership with The Salt Lake Tribune. It starts out easily enough: An opioid sales representative tells a doctor about a product over lunch, then picks up the tab. For some doctors, this arrangement spirals into a habit. As reps promote various drugs, a physician might be treated to dozens, or hundreds, of free meals. And for some doctors, the meals can turn into lucrative speaking deals. A physician can make $1,000 or more to present slides about an opioid or other pharmaceutical product to a roomful of doctors. Take Bradley Root, a St. George pain and rehabilitation specialist. Opioid companies paid for more than 100 of his meals in recent years, and he often received checks from Purdue Pharma to speak or provide similar services. Several of the Purdue payments topped $2,500, with the highest being $8,000. From mid-2013 through 2017, opioid makers, including Purdue, Insys Therapeutics, Pfizer and others, paid or comped Root a total of nearly $84,000, federal payment data show. Root and other Utah doctors who have received money from opioid companies argue it’s important to meet with sales reps to learn about new products, research advances and data that could help patients. Root adds he’s “very skeptical.” But research suggests pharmaceutical payments can affect the behavior of physicians. Two recent studies revealed doctors who received meals and payments from the opioid industry tended to prescribe more of the drugs the following year. And lawsuits filed by states and counties, including several in Utah with one against Purdue, have focused on this marketing relationship. (Douglas Healey | AP Photo) This May 8, 2007 file photo shows the Purdue Pharma offices in Stamford, Conn. A newly unsealed lawsuit by Tennessee's attorney general says the maker of the world's top-selling painkiller directed its salesforce to target the highest prescribers, many with limited or no pain management background or training. Citing the public's right to know, Attorney General Herbert Slatery said Thursday, July 5, 2018, that OxyContin maker Purdue Pharma has dropped its previous efforts to shield details of the 274-page lawsuit in state court. From August 2013 through 2017, more than 600 Utah doctors were compensated at least $718,000 by opioid manufacturers for reasons not including research, according to an analysis of the federal government’s Open Payments database by The Utah Investigative Journalism Project. The sum includes meals, travel and payments for consulting, public speaking and honorariums, among similar fees. The money and meals flowed to doctors even as more and more Utahns fatally overdosed on opioids, including painkillers and heroin. The death toll rose from 306 in 2010, to 381 in 2013, to 449 in 2016, according to the Utah Department of Health. Two years ago, Utah was tied for the third-highest prescription opioid death rate in the country. Preliminary 2017 numbers show a decline to 371 deaths. • Utah doctors accepted more than 7,500 free meals worth about $118,000 from the opioid industry since 2013. At least 265 payments totaling about $136,000 were for travel and lodging. And opioid makers paid doctors consulting fees 26 times for a total of $80,000. • The most money, about $374,000, went to doctors for speaking engagements and similar educational events targeted to other physicians. • The payments were focused on a handful of Utah doctors, several of whom are prominent national players in pain medicine. The 10 highest-paid doctors received almost 80 percent of all opioid industry cash spent on Utah physicians since 2013. • Opioid payments dropped in the past two years, from a high of about $210,000 in 2015 to $107,000 last year. This aligns with the national trend as both the dangers of the drugs and opioid makers’ aggressive sales practices have come under increased scrutiny. This information has come to light only due to the health care overhaul in 2010. Congress passed a provision requiring drug companies to report payments and gifts to doctors — a practice known as “detailing” — in an effort to shed light on conflicts or inappropriate industry influence. Since then, studies consistently have shown pharmaceutical industry payments are associated with more prescribing by doctors. That also holds true for payments made by opioid makers. One paper published this spring said physicians who received payments and meals in 2014 prescribed more opioids to Medicare patients the next year, while doctors who did not receive industry cash reduced their opioid prescriptions. The authors, led by Scott Hadland of Boston Medical Center, found that accepting just one free meal was associated with a 0.7 percent increase in opioid prescriptions. Still, Medicare statistics do offer a limited snapshot of how frequently some Utah doctors are prescribing painkillers. Root, for example, prescribed opioids to Medicare patients 913 times in 2015, including refills, according to a ProPublica database. Most of the prescriptions were for oxycodone, hydrocodone and fentanyl products. Only one Utah pain specialist prescribed more opioids than Root under Medicare that year, according to the data. Root points out he sees about 15 to 20 patients a day, and many are in severe pain and already are taking opioids when they arrive for help. (Leah Hogsten | The Salt Lake Tribune) Rep. Ray Ward, R-Bountiful, compared the relationship between a doctor and a drug rep to that of a lawmaker and a lobbyist. Rep. Ray Ward, R-Bountiful, a family physician with experience prescribing opioids, said he and his colleagues don’t allow drug reps in their clinic. He said he personally doesn’t see how medicine is improved by industry sales efforts and presentations. Ward likened the relationship to politicians and lobbyists. A legislator might not realize a lobbyist is changing his mind on a given issue, especially at first. But over time, he said, the relationship grows, and the legislator’s views are subconsciously shaped. Thirteen opioid companies have made payments to Utah doctors since 2013. Purdue Pharma spent the most, at about $200,000. The company is best known for OxyContin, a drug with a central role in the opioid epidemic. It also manufactures Butrans, which is delivered through a patch, and Hysingla ER, a hydrocodone tablet. In the past year, the company said, it laid of its sales staff and stopped marketing its opioid products to prescribers. Mylan paid $159,000. Most of its payments went toward a product called Ultiva and to a single doctor, Jeffrey Priest. The Provo anesthesiologist with Central Utah Surgical Center received $143,000 in payments related to the powerful opioid, which is twice as potent as fentanyl. It is used during and after surgery, and delivered via injection by a specialist. Priest said he already had used Ultiva for years and following thousands of procedures when Mylan asked him to start speaking about it in 2012. He was paid to give lectures to groups of doctors around the country through 2016. He acknowledges he likely made lots of money for Mylan, but doesn’t regret it because he said he believed the drug was “just superior,” there were no good alternatives, and he would have been using it anyway. Insys Therapeutics, too, was a big spender on Utah doctors. Nearly all of its $127,000 went toward marketing Subsys. The under-the-tongue-spray is meant to treat “breakthrough” cancer pain, and it’s potent: The active ingredient, fentanyl, is 100 times stronger than morphine. In August, Insys agreed to pay a $150 million settlement related to a Justice Department investigation into its sales practices. The department accused the Phoenix area-based company of paying physicians kickbacks to prescribe Subsys. They came in the form of bogus paid-speaking engagements, investigators said, which sometimes involved doctors simply showing up to social gatherings. While Utah doctors weren’t implicated in the scheme, Insys did make a significant marketing push in the state. The doctor who received the most from the company was pain medicine pioneer Theodore Stanley, who had served on the company’s board of directors. Nearly all of the former University of Utah anesthesiologist’s $76,000 in payments since 2013 were for travel and meals related to Subsys. As The New York Times noted in Stanley’s obituary last year, he became famous in the world of pain medicine decades ago after co-inventing a product similar to Subsys: the fentanyl lollipop. For years, pharmaceutical sales reps gave out all types of gifts. They took doctors out to high-priced restaurants, paid for vacations, bought tickets to sporting events and handed out pens and other merchandise. That all ended when the drug industry trade group known as PhRMA rolled out a code of ethics in 2002. The Code on Interactions with Health Care Professionals banned paying for entertainment and giving out trinkets. “Modest” meals were allowed during a presentation about a product as long as it was inside the office or hospital. Yet the industry still finds plenty of ways to pitch drugs to doctors. And it can track the results by studying pharmacy prescribing data, purchased from companies such as IMS Health. Carol Panara, who worked as a Purdue sales rep from 2008 to 2013, said companies rely on this data to set up a “target list” of doctors who may be likely to prescribe a certain drug. Reps then set up appointments. Sometimes they cater food for a breakfast or lunch. Or they drop in and hope to catch the physician during a break. “It’s a lot of waiting time, and a lot of windshield time,” Panara said in an interview from her home in New Jersey. Paid speaking gigs, meanwhile, are usually offered to doctors who already prescribe lots of a company’s medicine, or are viewed as having “potential” to prescribe more of it, said Panara, who often organized speaking engagements when she was working for the drug company Novartis. Some states have taken steps that go further than the industry guidelines and federal reporting requirements. Several states require companies to report payments made by many types of health care professionals, not just doctors. Vermont banned drug companies from providing free meals altogether. Hospital systems, too, restrict industry-doctor relationships. 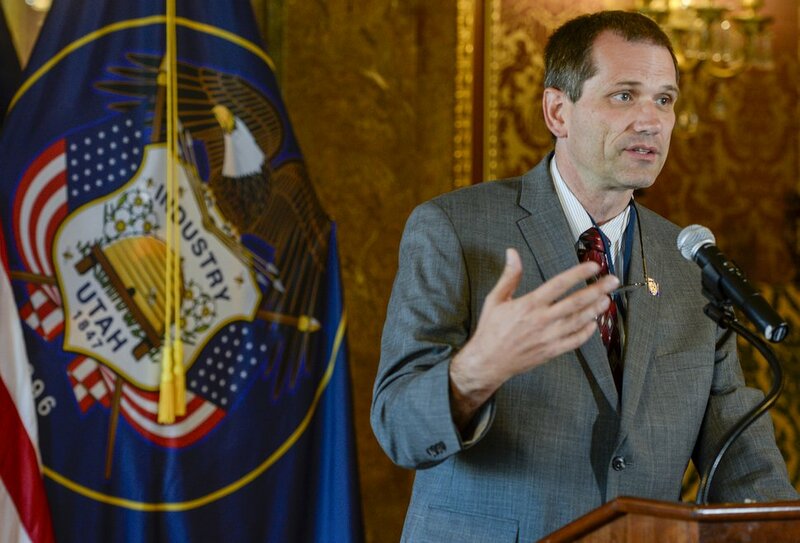 Intermountain Healthcare, for example, does not allow luncheons sponsored by drug makers at its clinics, and gifts from suppliers are “discouraged and never solicited,” spokesman Daron Cowley said. But increased regulations and transparency haven’t stopped opioid companies from pursuing aggressive, and sometimes illegal, sales tactics, according to a flurry of recent lawsuits filed against the companies by states and counties, including Utah. "Utah’s opioid crisis stems directly from a callously deceptive marketing scheme that was spearheaded by certain opioid manufacturers and perpetuated by prominent doctors they bankrolled,” alleges a lawsuit Salt Lake County filed against several opioid companies and doctors in the spring. The lawsuit and other similar ones filed this year outline a common strategy among opioid companies. They worked to convince doctors that opioids should not only be used for short-term pain and end-of-life care — as they had long been previously — but also as the solution for chronic pain. To get this message across, the Salt Lake County lawsuit alleges, several companies spent millions to deny or trivialize the risks of opioid painkillers, and exaggerate their benefits. It also accuses the companies of overstating how their new formulations could thwart abuse. And it says some opioid makers promoted a concept known as “pseudoaddiction” — the idea that addictive behavior in a patient could be treated by prescribing them even more opioids. Panara, the former sales rep, confirmed that Purdue representatives were trained to tell doctors about the pseudoaddiction concept. Patients with this condition, the reps were told, might exhibit the same behaviors as a real addict. They might seek more medication before a new prescription was available, Panara said, or use much more frequently than prescribed. The solution pushed by Purdue was to give the patient even more opioids, Panara explained. She said reps did not have research to show doctors that backed up this pseudoaddiction concept. In a statement, Purdue said its U.S. Food and Drug Administration-approved label for OxyContin discusses the concept. It never states the term, however, and the FDA has denied that the labeling was meant to address pseudoaddiction. Purdue also directed reps to focus on family doctors and other general practitioners, Panara said. “It was a broader base of doctors, and that’s where the patients started,” she said. Reps encouraged doctors to identify chronic pain in patients, and prescribe those patients with medication like OxyContin that lasted at least 12 hours. She put in her two-week notice in 2013. The lawsuit filed by Salt Lake County, and others like it, say opioid companies also worked to sway “key opinion leaders” in the world of pain medicine about the benefits of their drugs. Lynn Webster was one such doctor. The Utah anesthesiologist has spent years speaking, writing and making a film about opioids and pain. 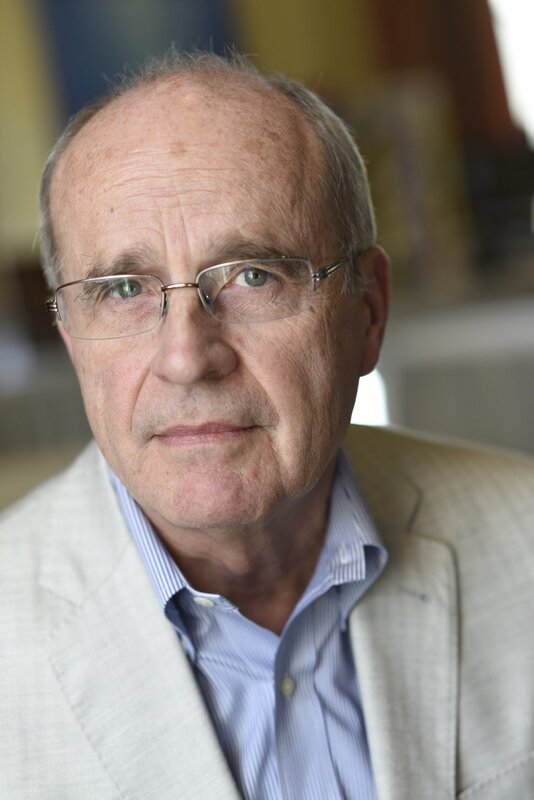 He developed the Opioid Risk Tool, a five-question test to screen patients for risk of abuse, and served in leadership positions for prominent pain organizations. Salt Lake County alleges Webster has long been a paid industry consultant, receiving several million dollars from companies since founding the Lifetree pain clinic in South Salt Lake in the 1990s. He is now vice president of scientific affairs at PRA Health Sciences, where he conducts clinical research primarily on nonopioid drugs. In 2010, the U.S. Drug Enforcement Administration raided Lifetree. Charges were never brought, but the investigation revealed 20 of Webster’s patients died of opioid overdoses under his care, according to the Salt Lake County suit. He said he could not comment on the pending litigation on the advice of his attorney. Since 2013, Webster has continued to work in pain management and has received about $48,000 in payments from the opioid industry, not counting his payments for research work, according to the data. Perry Fine, a University of Utah anesthesiologist, also has been named in lawsuits filed in Utah and around the country. Like Webster, Fine was a key opinion leader “instrumental in promoting opioids for sale and distribution,” according to a lawsuit filed by Uintah, Duchesne and Daggett counties. The suit said he had been receiving payments from drug companies while helping to draft opioid-prescribing guidelines for two national professional medical societies, which ultimately labeled the drugs as “safe and effective” for chronic pain. In an email, Fine said allegations made against him in the lawsuits around the country were false and that he was seeking dismissal from them. “My position as a clinician, researcher and educator has always been to advocate solely for the best health interests of patients,” he said. Fine made nearly $43,000 from opioid companies in recent years, not including research, according to the data. Some $36,500 of that came a single consulting fee from Endo Pharmaceuticals related to the product Opana ER. The payment was for Fine to travel and present on behalf of Endo at an FDA hearing, which was studying the drug’s dangers. Fine made a case, according to meeting minutes, that Opana ER was highly effective for its intended patients, especially those who do not see a benefit from other painkillers. The drug was nevertheless pulled from the market last year at the FDA’s request, due to a high risk of abuse. Fine and Webster helped create the Utah Department of Health’s opioid-prescribing guidelines. First released in 2009, they were meant to be “suggestions on how to properly use and prescribe opioid medication,” the Health Department’s then-Executive Director David Sundwall wrote. Fine was on the document’s steering committee; Webster on its guideline recommendation panel. The document recommended Webster’s Opioid Risk Tool as one of several addiction risk screening methods. Fine was again on the advisory committee for the 2018 version of the prescribing guidelines; Webster’s name was no longer included. In a statement, Health Department spokesman Tom Hudachko said the guidelines have worked, reducing opioid prescribing by a rate of 22 percent over the past four years. Other Utah doctors who received the most payments include Robin Ockey, an Orem pain specialist, who was compensated about $61,000 since 2013, including a number of speaking engagements related to Pfizer and Purdue drugs. Michael Giovanniello, a Draper pain and rehabilitation specialist who has been compensated about $44,000 by opioid makers since 2013, said he has a similar approach. In an interview, he said his philosophy is he can learn from anyone who visits his office, including drug reps. Most of the money Giovanniello received came from $2,000 and $3,000 payments for speaking about the drug Nucynta from the company Depomed. Nucynta has since been sold, and Depomed has been rebranded as Assertio Therapeutics. Giovanniello said he was comfortable lecturing other doctors about Nucynta because he saw it as effective for treating chronic pain — and with less potential for abuse. He said he’s turned down speaking offers for other opioid products before and is careful not to allow such payments to affect his judgment. He said he generally views speaker programs as a way to educate other physicians about a product while promoting his practice. Fine and Webster make similar points in defense of payments they have received. He added there should “never be a ‘quid pro quo’ relationship” between doctors and industry, and his employer, the University of Utah, has policies to prevent such behavior. While he worries about the influence of money on physician behavior, he said he has reviewed his own prescribing patterns and found “no relationship” between his prescribing and his ties to pharmaceutical companies. Webster’s license with the Utah Division of Occupational and Professional Licensing remains in good standing — as do all other physicians named as receiving opioid industry money in this story.